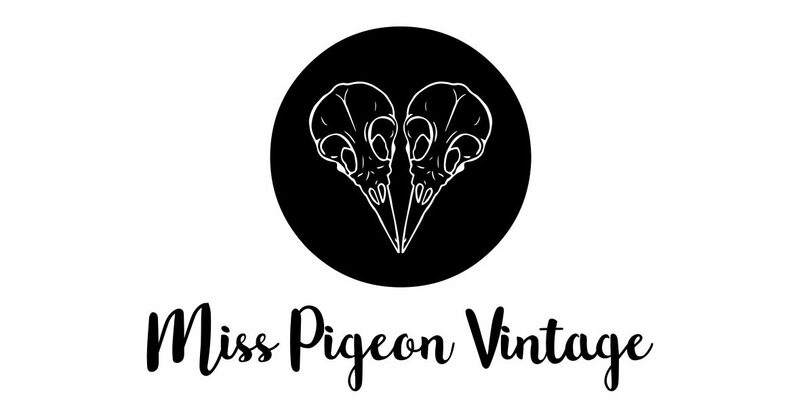 Recycling is at the heart of everything that Miss Pigeon Vintage does. I’m a big believer in reusing something until it’s beyond repair and then it should be repurposed if possible. We do loads of upcycling here at Miss Pigeon Vintage HQ and I want to try and look back at some of the projects we’ve done over the years. You may have read about the chairs we fixed up in preparation for sale. You can see them again, here. It’s become second nature to spot potential in old furniture and find ways to revive and reuse hand-downs, skip-raids and house clearance items. This little raggedy Anne was one of the latter. 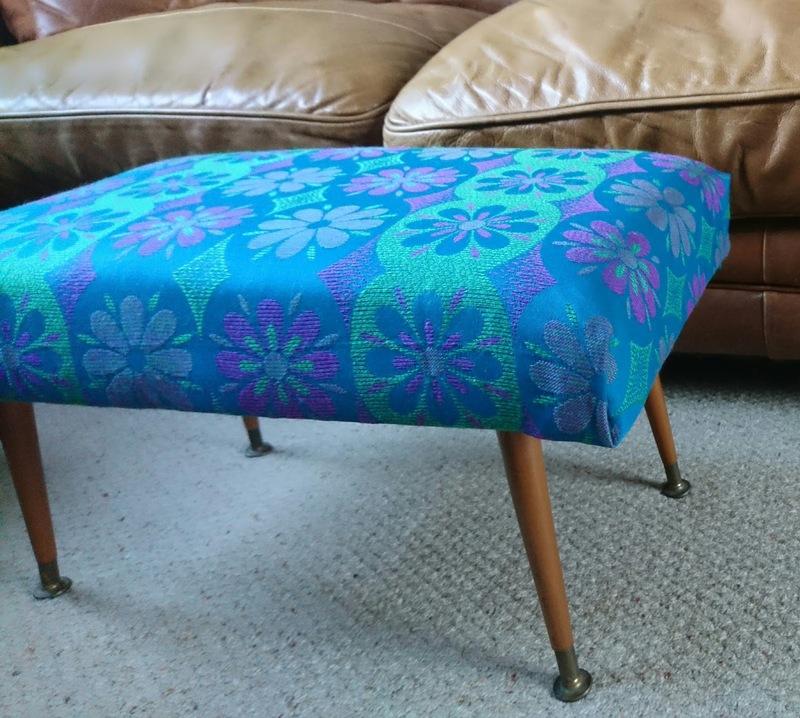 A cute 1960’s foot stool with Dansette legs had been made by the previous owner in the 1960s. 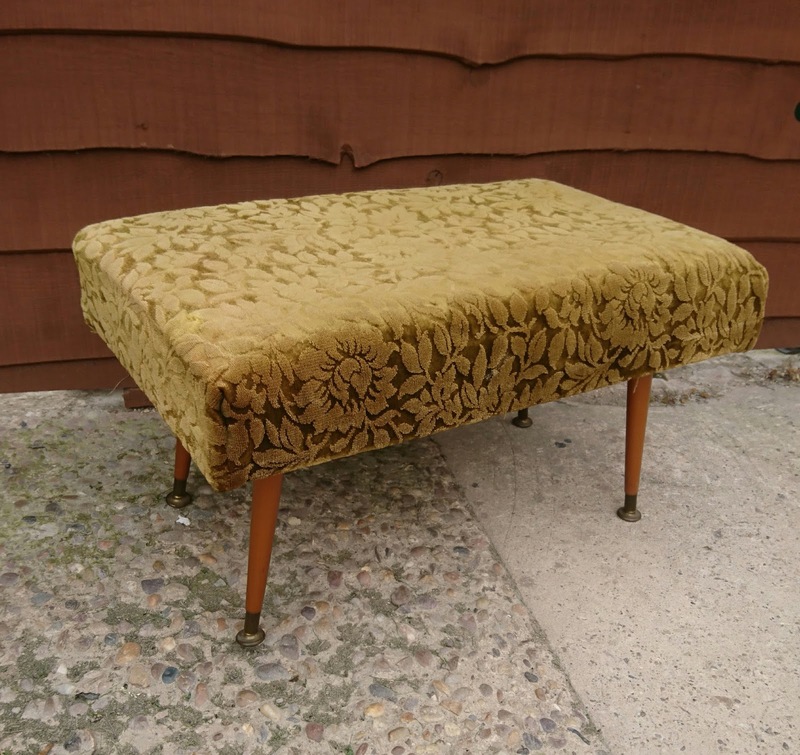 There were a few scuffs and marks, the fabric was fusty I felt it didn’t compliment the slender tapered legs, that are known for being mid-century classics. 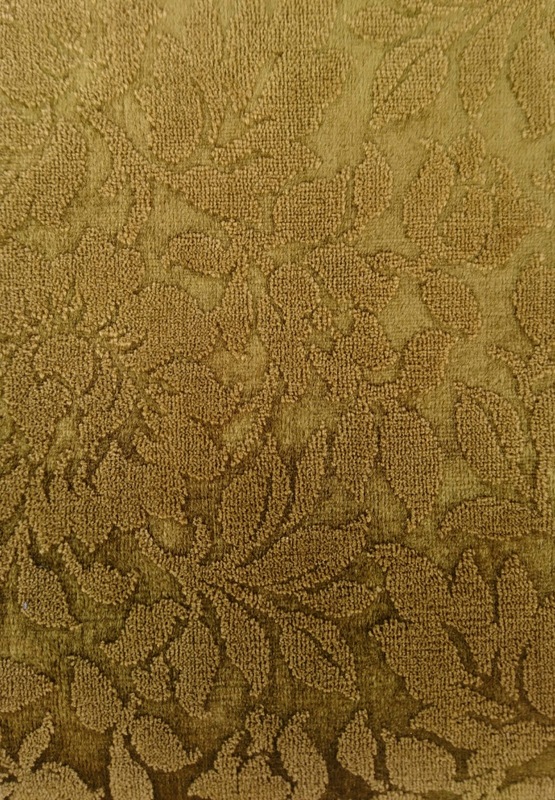 As soon as I got this one home, I knew precisely which piece of fabric I’d be hunting down from my ever growing stash of vintage and retro materials. 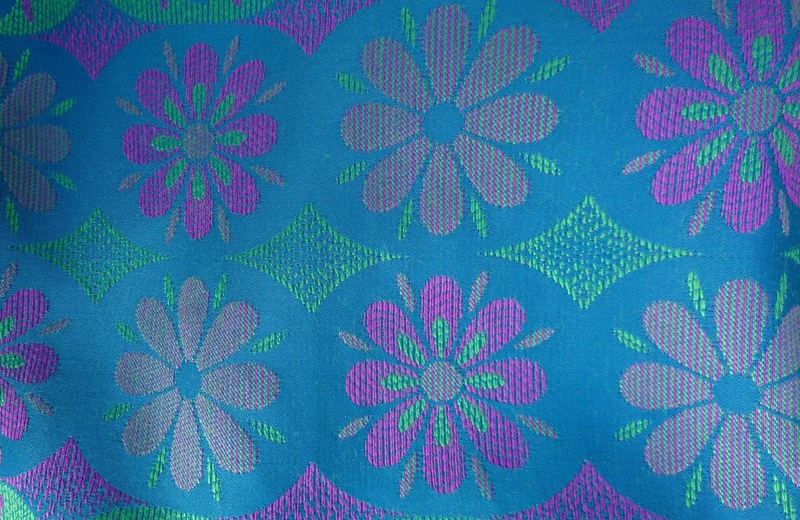 This blue, purple and green bit of gorgeousness was part of a stash I bought during a trip to Horncastle, a few summers ago. It’s a pair of curtains that don’t fit anywhere in our house and the curtain tabs are very worn. 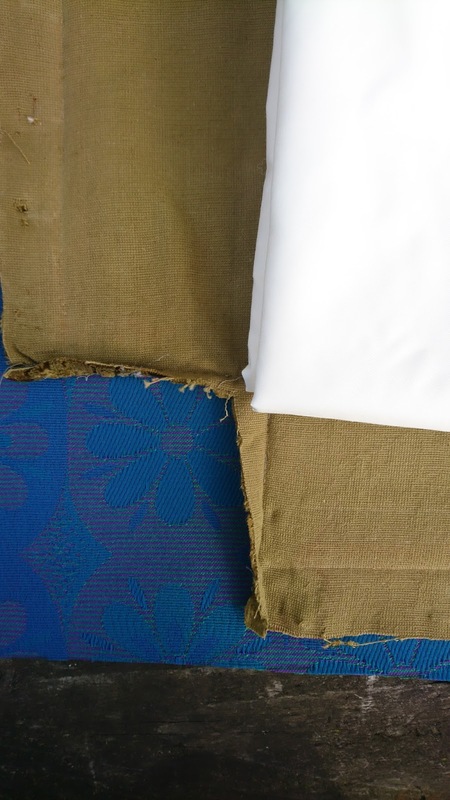 I stripped the fabric carefully to make sure I could use the original as a template for the new. It seemed, once bare, this cutey revealed the naivety of her make up. The family we bought it from had explained that their Dad was an amateur carpenter, often taking furniture to pieces to reuse elsewhere in the house. It seemed, he was having a go at upholstery, too! The two foam sections were glued together with some sort of expanding glue, meaning I didn’t have to worry about them shifting when recovering. 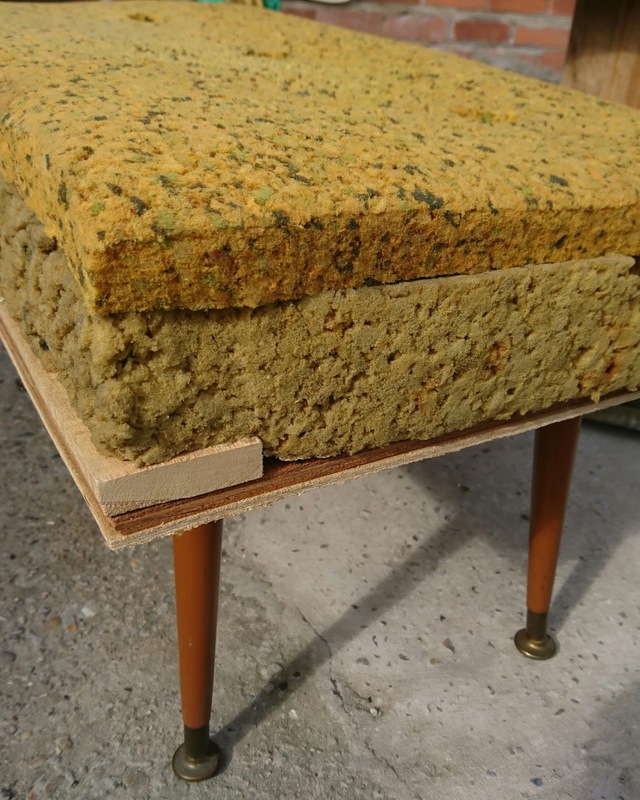 The foam was in great condition and still felt spongey enough to reuse. The sections weren’t stuck to the wooden base though, so I used some leftover carpet spray glue to hold them in place so they didn’t shift while working. Laying the original fabric cover on top of the new fabric meant I could easily get the perfect shape, knowing that it fitted well before. 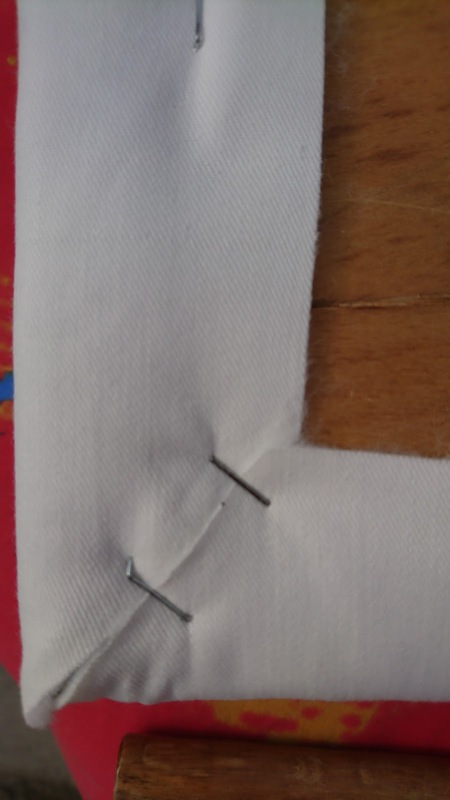 I got plenty of seam allowance for overlapping the corners and folding in the unsightly edges underneath. I decided to put the old cover back on, after a quick hoover and hand wash. 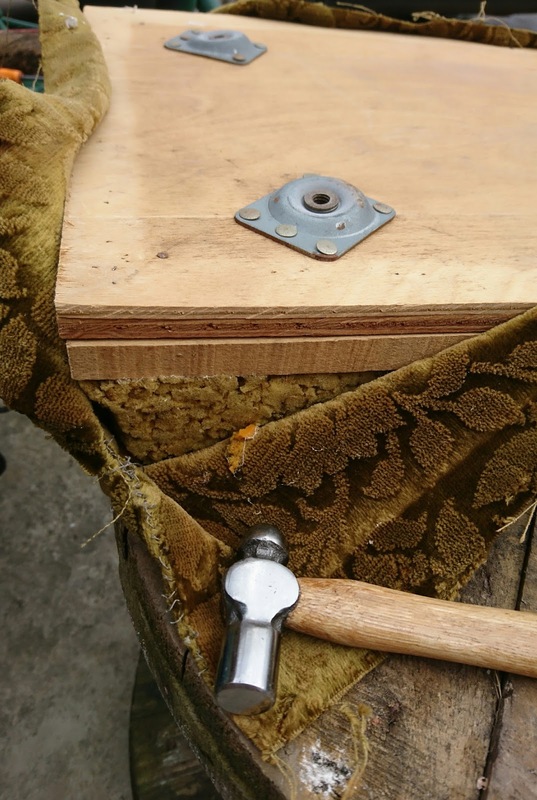 It was in ok condition to provide some padding and keep the edge of the stool smooth and rounded. I turned it over, to make sure the raised pattern wouldn’t push through over time. I stapled the old cover with an industrial staple gun and then flattened to prevent bumps, using one of my little boy’s toy hammers! I added another layer of padding with some old wadding I had kicking about in a craft box. There was just enough to cover and it was so light and easy to use now there was the extra layer protecting from the rough old sponge. The wadding really made it feel more professional than just covering the stool in a fabric. It means that wear and tear will be less likely and the stool is more comfortable. 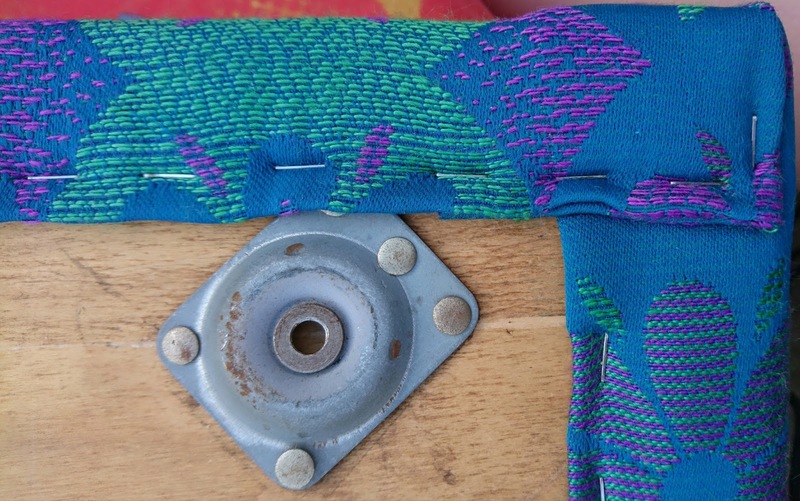 It protects the new fabric from the old one, too. I wasn’t happy with these corners or overlap at all, but with the way the stool had been originally made, it was tricky to ensure a good clean edge from all angles, without having to overlap onto the leg brackets. Once all those staples had been flattened out with Stan’s toy hammer, I polished the legs up and screwed them back on. We were over the moon with how it turned out and felt a bit attached to it immediately. The stool drew a lot of attention at that weekend’s fair, but eventually made it’s way to my shop, Meanwhile… where it only lasted two days, before being snapped up by a very happy customer who added it to her bohemian style living room.